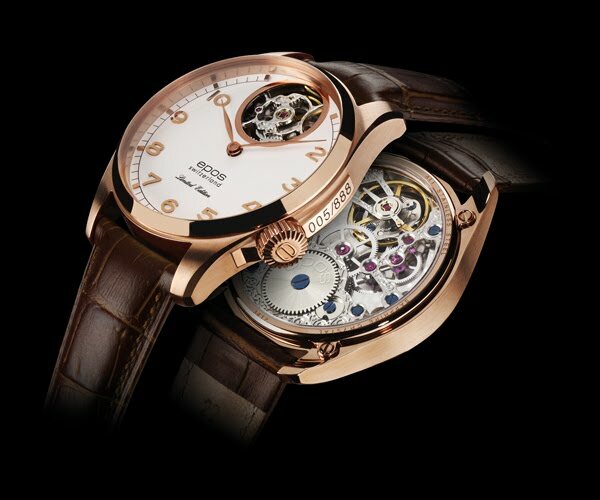 Once again, Epos demonstrates that it takes nothing more than a finely-crafted mechanical movement to carry a timepiece. The brand lets its expertise speak for itself and allows the balance wheel, visible through an opening in the dial at 12 o'clock, to capture the gaze. A technique which Epos has mastered since 1983. The movement nests inside a steel case with pink gold PVD treatment that is classic yet firmly rooted in the 21st century. The limited series number is inscribed on the side of the case, whose crown, in an original touch, is positioned at 4 o'clock. Proposed as an 888-piece limited series.